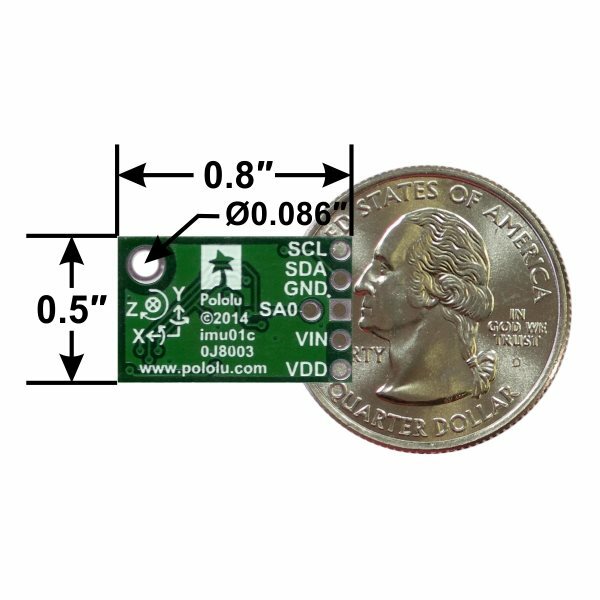 The Pololu MiniIMU-9 contains an integrated Gyroscope, Accelerometer and Compass. 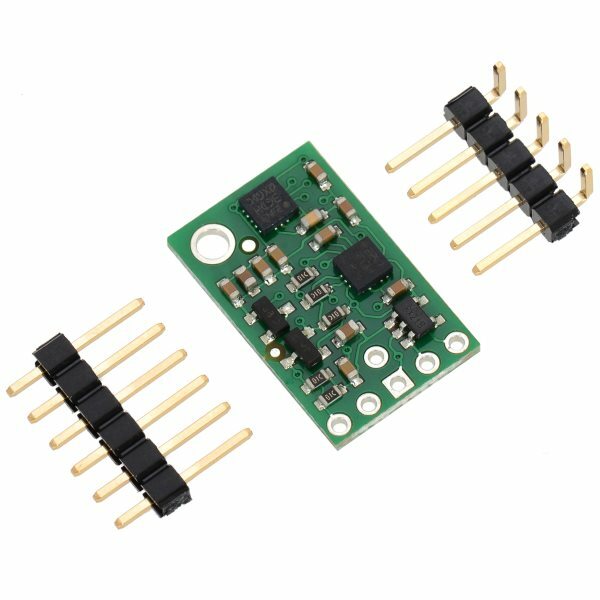 The MiniIMU-9 v3 combines a 3-axis gyroscope, 3-axis accelerometer and 3-axis magnetometer onto one tiny IMU Inertial Measurement Unit. 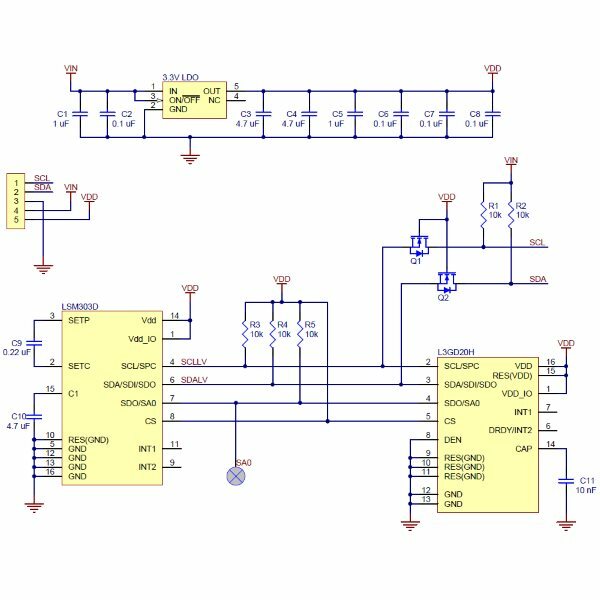 An L3GD20H chip provides the gyroscope while a LSM303D chip provides the accelerometer and magnetometer. 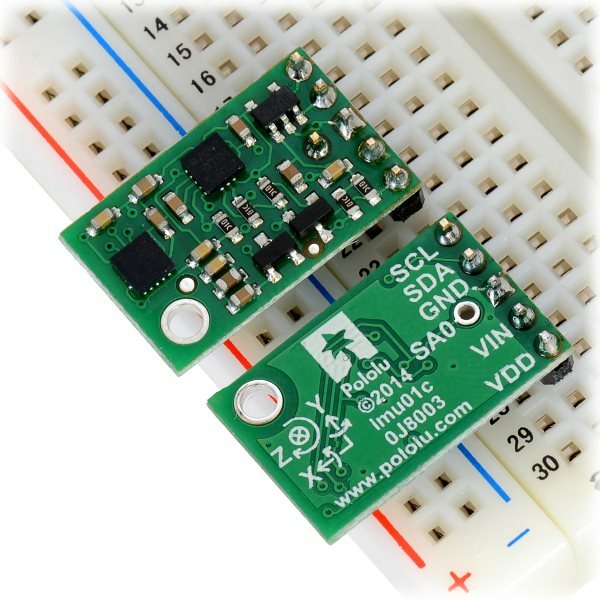 Both of these chips communicate using I2C. 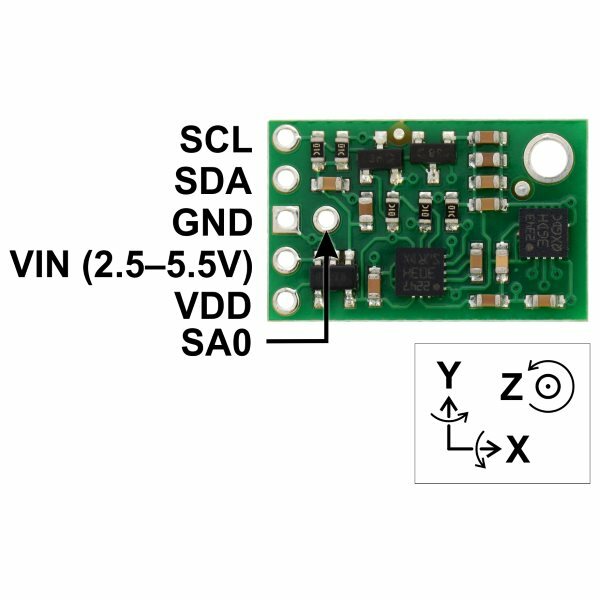 The board can be powered using a 2.2-5.5V supply and has been designed to work with popular 5V microcontrollers by providing onboard level shifting. 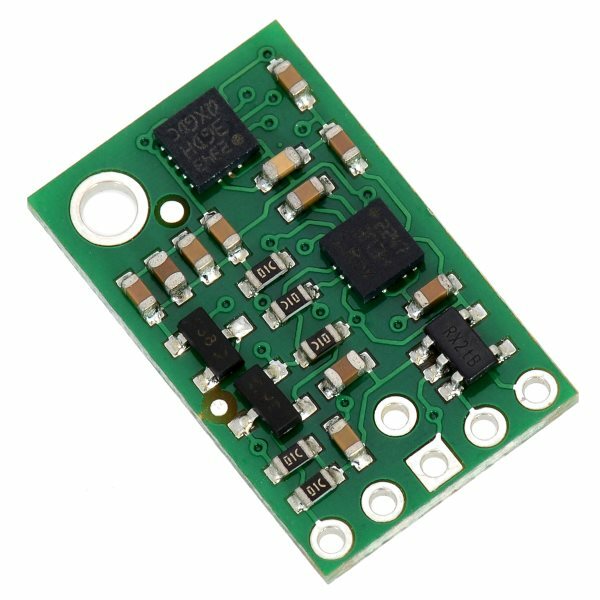 Altogether, this tiny module provides readings for 9 DOF Degrees Of Freedom to provide enough data to build an AHRS Altitude and Heading Reference System. This board comes with a set of optional header pins that require soldering.